The Walsh History Center at the Camden Public Library is located on the central coast in Maine, in the United States. The Camden Library has a vast collection of historical photos and documents and its goal is to care for this material of historical significance for the residents of Camden and Rockport, and to make its collections available to the public through exhibitions and digital representations, including here on Flickr. The library’s photographic images date from the 1860s until the present. 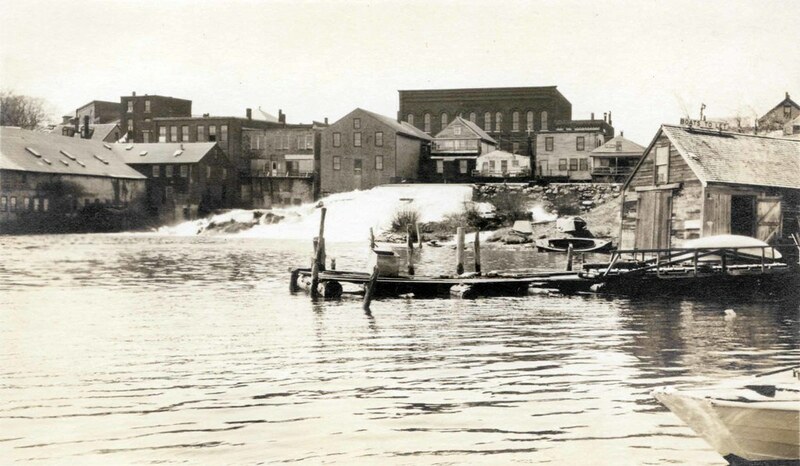 One of the most important industries throughout the area’s history was shipbuilding and therefore, their audience is very interested in the development of the waterfront. We’re happy to welcome the library and thank you for joining the Flickr Commons! To learn more about the Camden Public Library, visit their website, Facebook, and Pinterest pages. Beauty is in the eye of the beholder with the patterns and textures of vintage walls.